Sport isn’t all about glitz and glamour. It’s about hard work, preparation and dedication. It’s about the organisation, planning and creativity of teams behind the scenes, which allows extraordinary things to take place on the pitch. It’s about connection and commitment to communities. In the modern world good sport and good business are inextricably linked. The Sports Business Awards (SBA’s) are from the same team which produces the highly successful Football Business Awards. Launched in 2012 the Football Business Awards celebrate the very best in football business and attract 500 attendees to the ceremony every November. 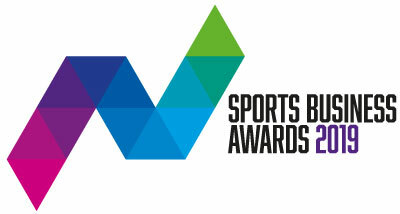 The SBA’s were conceived in 2017 to celebrate the hard work and successes of individuals and teams who make all sporting success possible; the organisers, the suppliers, the designers, the administrators, the advisors, the technologists, the marketers and the companies who ensure that the business of sport, in all its various and myriad forms, happens successfully. The judging panel is made up of CEOs across all sports alongside individuals whose knowledge, expertise and experience gives them special insight into the challenges and demands of sports business success. Designed to celebrate the vital influence of business within sport the awards recognise the organisations, teams and individuals who excel in a variety of business, CSR and sports governance disciplines. The Sports Business Awards is itself an award winning event having won “Best New Awards Event” at the PPA Connect Awards in 2018. If you have queries about the awards then please get in touch.